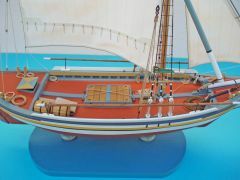 The model represents a Gr. 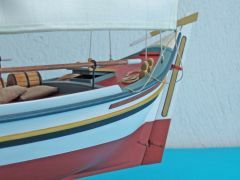 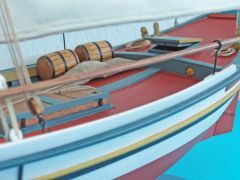 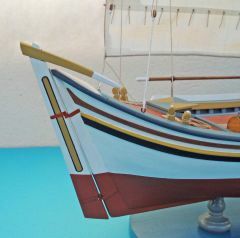 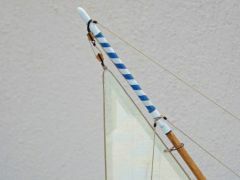 traditional vessel known as "Tserniki of Mykonos Isl.” rigged with a "Half-lateen sail". 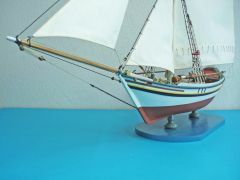 It's was a version of standard "Tserniki" vessel but with a raised stern post. 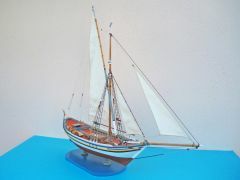 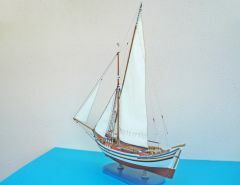 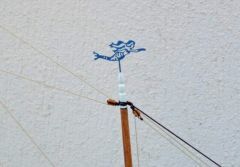 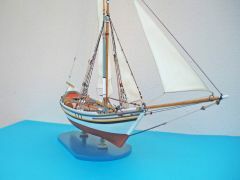 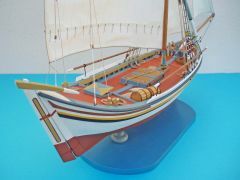 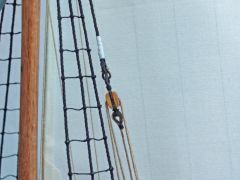 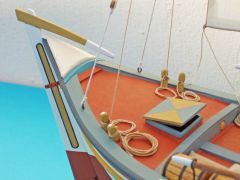 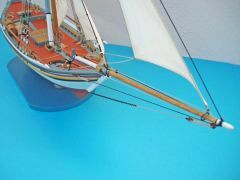 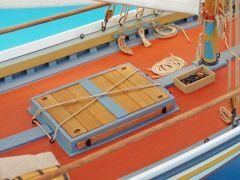 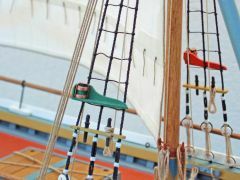 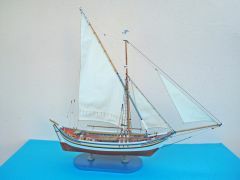 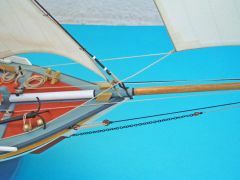 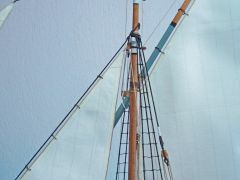 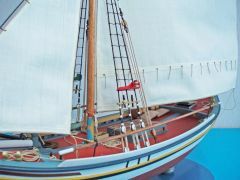 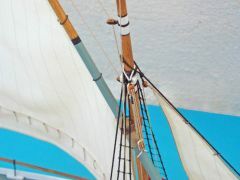 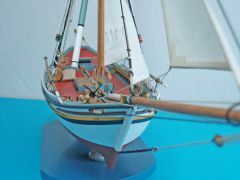 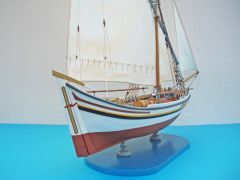 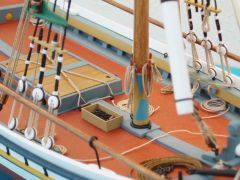 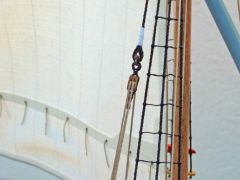 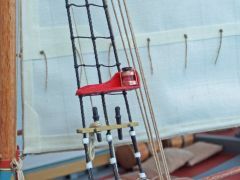 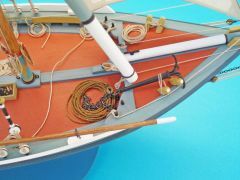 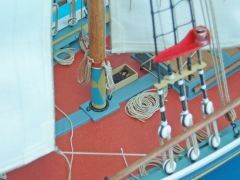 The "half-lateen sail” rigging for some ones was considered also as "Sakoleva” rigging, although there are differences. 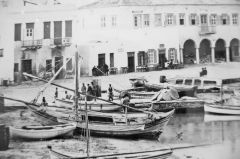 It was a small merchant and fishing vessel at early of 19 century and can be seen in old photos of Cyclades Islands.